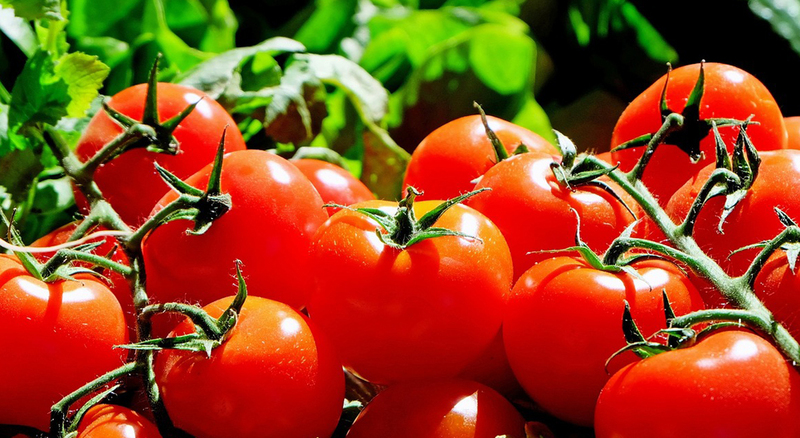 Determinate tomatoes are compact and grow in a bush-like form, with most of the crop ripening all at the same time. They are great for those who like to have a large supply of ripe fruit all at once. Indeterminate varieties grow larger than Determinate varieties (typically around 6′) on a vining stem and produce fruit all growing season. Semi-Determinate varieties are stuck right in the middle. They’re smaller than Indeterminate varieties, but larger than Determinate varieties. And while they product a main crop that ripens all at once, they also continue to produce through out the growing season. Check out the chart below for a great tomato comparison of Determinate, Indeterminate and Semi-Determinate Varieties! 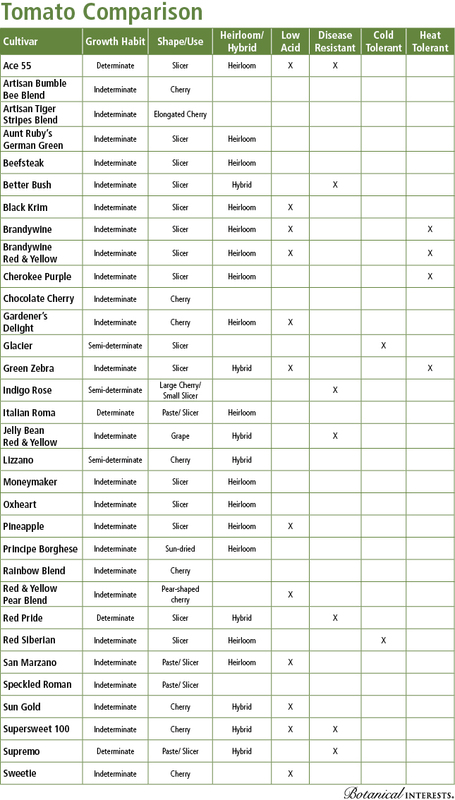 Please note while you’ll find many of the varieties below in our greenhouse, every one is not available (we carry as many of the tasty ones as we can!). Please call ahead for specific variety availability. We’ll be happy to help.